Joint, brain and cardiovascular support packed into a 500mg softgel! Healthy Origins Natural Krill Oil is an organic supplement extracted from Antarctic Ocean waters. Krill oil dietary supplement is naturally free of gluten and soy. It does not contain tree nuts, peanuts, yeast, eggs, milk or wheat. Other Ingredients: Gelatin, Glycerin, Purified Water, Natural Vanilla. Enteric coating consists of Ethyl Cellulose, Sodium Alginate, Ammonium Hydroxide, Medium Chain Triglycerides, Oleic Acid, Stearic Acid. Contains: Shellfish (Krill). Contains NO: Peanuts/Tree Nuts, Fish, Gluten, Yeast, Eggs, Milk, Wheat or Soy. Adults: As a dietary supplement for adults; take two (2) softgels twice daily with your first meal, or as directed by a physician. If you have a seafood allergy, coagulopathy, or are taking anti-coagulant or other medication, please consult a physician before using this product. If you are pregnant or nursing, please consult your healthcare professional before using this product. Keep out of the reach of children. I first began taking Krill Oil 500mg a few months ago, and they seemed ok swallowing-wise. However, this last bottle was very difficult to swallow, causing reflux that none of my other supplements did. I would recommend it as a good product, but hard to swallow. 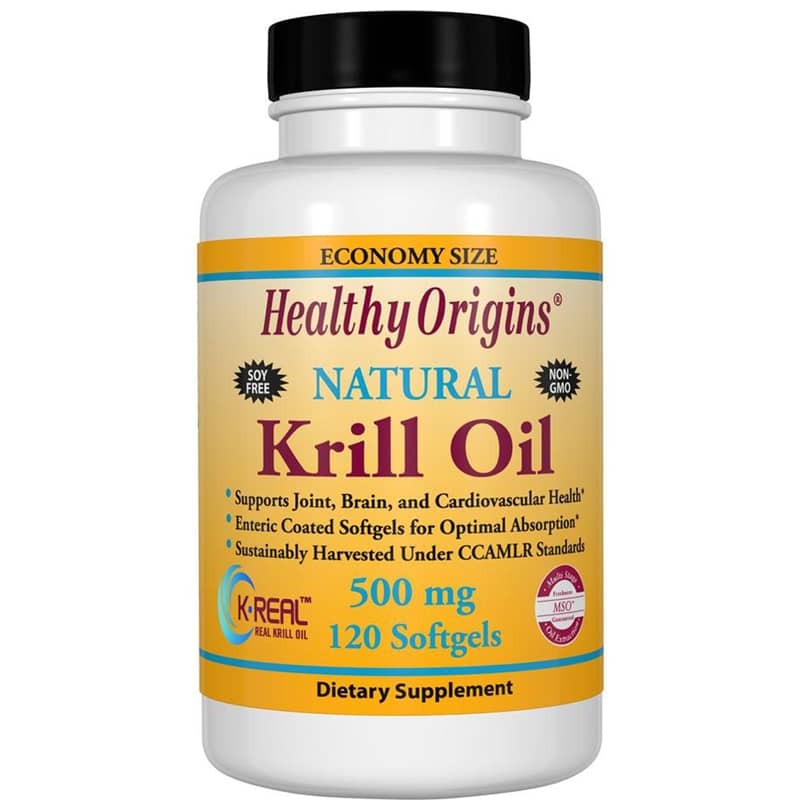 Healthy Origins Krill Oil seems to do the job for me. I like the fact they are soy free. They are also enteric coated for good absorbability.